Dowagiac Animal Hospital offers a broad range of medical services with your pet’s health and quality of life, and your convenience, in mind. In addition to advising you in avoiding preventable disease (through vaccines, parasite controls and preventatives, spay and neutering, etc. 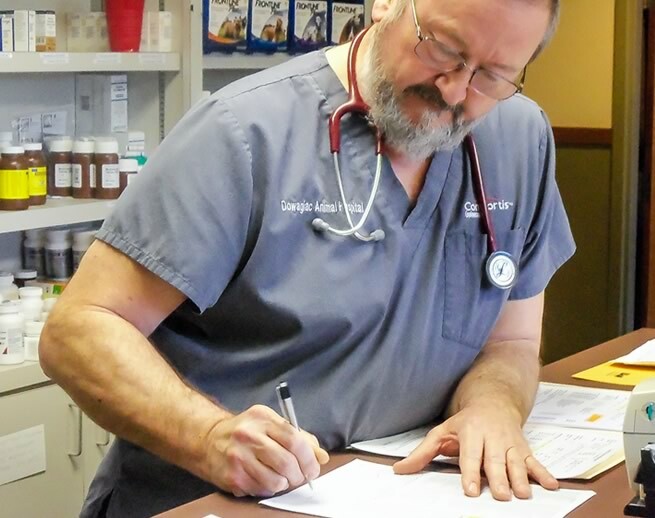 ), we are determined to discover the underlying cause when your pet becomes ill. Dowagiac Animal Hospital provides extensive surgical services, including Orthopedics. Furthermore, we offer a broad range of Dental Services. These include treatment and control of Periodontal Disease and restoration of damaged teeth, often avoiding tooth extraction. Our staff cares about your pet and understands the special bond you have with each other.